This three-piece, portable sauna stool is made from natural untreated Poplar wood. It was originally designed for use with Sauna Fix® near infrared sauna bundles, but is a great choice for seating in traditional or far infrared saunas too. Poplar is the perfect wood for near infrared sauna seating because it neither contains nor emits phenols, making it a perfect compliment to our non-toxic sauna radiant tent. Simply unpack, assemble and sit on the stool. 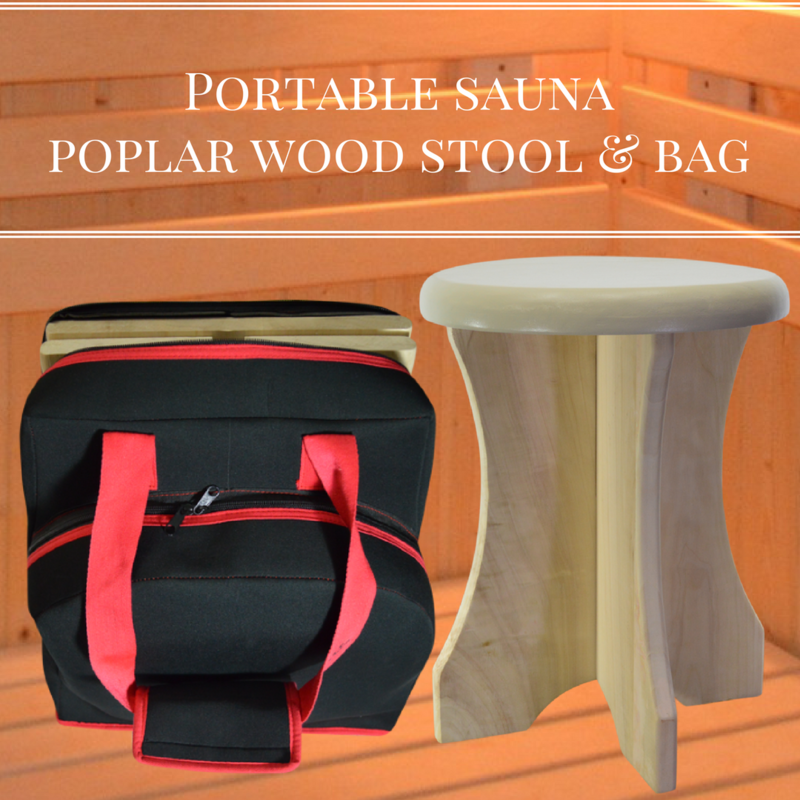 When you've finished your sauna session, either disassemble the stool and put it back in the travel bag or (if you're using your sauna at home) leave it assembled and ready to go for your next sauna session. NEW: Due to multiple customer requests, we now paint the stool seat top and side with MILK PAINT, which is totally non-toxic. The milk paint seals the wood seat, so sweat won’t raise the wood grain over time. The stool seat bottom and supports remain unpainted, in an unfinished condition, but you can paint them at home to the color of your preference. We use (and recommend) General Finishes “LINEN” water based Milk Paint, which is made in the USA. The seat of the stool measures 14" in diameter and is 1 3/4" thick. The legs are 1" thick, 17" wide, and the base is 14 3/8" wide. The overall height of the stool is about 19". This stool is made in the U.S. with imported and domestic materials.